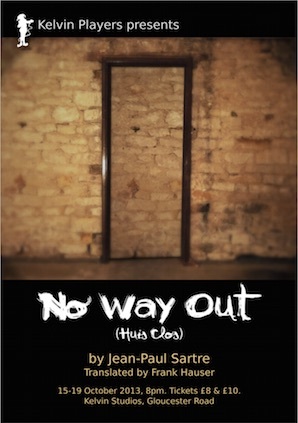 Sartre’s play Huis Clos (or No Exit or In Camera) is one of the best known works of existentialism. My 2011 article ‘There Is Something About Inez’ sketched a new interpretation of the play, which influenced a couple of major productions. Chapter 7 of the book Rethinking Existentialism offers a revised and more sophisticated version of this interpretation, partly in light of these recent productions. I would like to hear from people who have produced, directed, or acted in this play, or who are working towards a new production. Some thoughts on the play can be found in the documents below. To respond to these, please comment on the Huis Clos thread. If you are working towards a new production and would like to discuss the play, please email me via my personal website. There Is Something About Inez. Think vol. 10, Spring 2011. Manuscript PDF. Publication version. Sartre and Huis Clos. Programme notes for Donmar Warehouse production, January 2012. Huis Clos on Whitehall. Article at New Statesman website, January 2012. Original post. No Way Out: Ralf Tognieri’s Director’s Notes for Kelvin Players production, October 2013. Programme scan.